Not the most catchy of titles, I admit, but it'll do. As I've mentioned on more than one occasion, I am subscribed to alerts from They Work For You – a free site that allows the public to keep track of parliamentary proceedings. Even so, I will continue to remind you all of this fact, because I think everyone should make use of this amazing service. I am hardly politically astute, but I still choose to keep an ear open for when the British government decides to talk about me (or rather, things dear to me), i.e., Islam and the Muslim community. Recently, there was a sudden rise in the number of alerts I received, containing my keyword of choice, “Islam”, all because one particular British MP, Ben Wallace (Conservative MP for Lancaster & Wyre, Former Conservative MSP for North East Scotland), has been asking a lot of questions on the subject lately – six questions in just two days. After reading through them, I become somewhat alarmed, as they described a number of initiatives that have the potential to directly affect how Islam is understood and practised in the UK. This includes scholarly efforts to 'contextualise' Islam in Britain, and the teaching of Islamic Studies in universities. To add some further context, several of these questions were posed in relation to “Paragraph 9.21 of the UK Strategy for Countering International Terrorism“. The six questions and answers are presented below. I was quite worried about how this article would be received – mainly because politics is not my forte. However, I don't consider this article to be 'political', rather, the intention was simply to be informative. These are matters that concern me – and the rest of the British Muslim community – and I felt it my duty to spread the news. I asked a friend of mine to read over the article while it was still in draft form, and she wasn't aware of any of the initiatives described therein. I'd call her an 'average' Muslim – in that she is conscientious, but not politically active, as such. She, too, was alarmed at the information. So, I am hoping that I am not way off base with my assessment. Thanks to Indigo Jo for giving the article a once over too, and confirming a mistake that I had made. Though he never told me whether he agreed with my paranoid instincts or not – I'm sure he'll share his opinions soon enough, inshā’Allāh. Viva Palestina Have Reached Gaza! And they entered side by side like heroes, some on foot some in their vehicles, tears, smiles, hugs, flowers. It was historic, it was legendary. Gaza we are here. We have fulfilled the promise – Viva Palestina! The lifeline from the people of Britain to you, the people of Gaza, has arrived. We have broken the barriers, we have opened closed borders, we have defied the odds,we have overcome the challenges across thousands of miles and three continents. We are here to be with you, to embrace you, to share your tragedy with you. After another morning of intense negotiations, a deal was reached to allow all of the members of the convoy to go through. In the end, Viva Palestina had to make the sacrifice of agreeing that some vehicles will have to cross the border from the Al Ouja Israeli controlled crossing point. This includes our mascot, the fire engine and the boat. This was due to the restrictions imposed by Egyptian law governing the Rafah Crossing. A tearful Talat Ali told me that 'Rafah is the most beautiful crossing in the world', he also said that the time , effort and sacrifices put in by all the Viva Palestina family meant that history has been made today – on the day the prophet Mohammed (PBUH) was born. George Galloway made an emotional speech thanking the people of Gaza for the wonderful reception and assuring them that for Viva Palestina and in our millions, “WE ARE ALL PALESTINIANS!” George also reiterated that the people of Palestine have voted and that their voice should be respected. Today the convoy will head along the Salah Eddine road towards Gaza City witnessing along the way the destruction and death caused by the Israeli war machine. Along the way they will be greeted by the people of Gaza who will know that Viva Palestina is here and that they will NEVER BE ALONE. British Muslims: Who Speaks For Us? The following written answer provides some insight into the “movers and shakers” of British Muslim society. 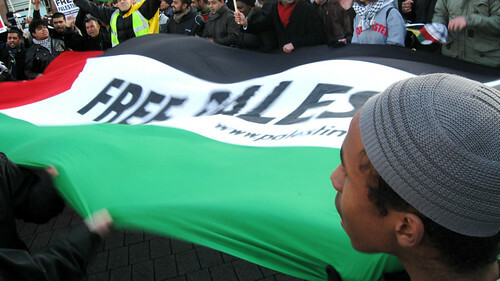 To ask the Secretary of State for Communities and Local Government what meetings Ministers in her Department have had with groups of British Muslims on the possible effects of events in Gaza since 27 December 2008 on community cohesion; and what the names were of the individuals who attended each meeting. January 3rd, 2009: Photos from the recent demo in Trafalgar Square, which attracted tens of thousands of protesters. During that particular rally, the organizers announced over the loud speakers that an even bigger march was planned for the following week; this time starting in Hyde Park, and ending at the Israeli Embassy in High Street Kensington. 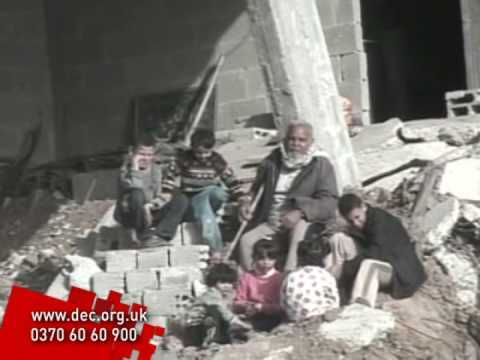 MuslimMatters.org has posted an excellent action guide for those who want to help the people of Gaza. Feel free to add your own suggestions in the comments section at the end of the post.